Camoes reached the peak of his talent in the main work of his life — the monumental epic «The Lusiads» which describes Portugal's history and the discovery of an oceanic route to India by Vasco da Gamma . The author of «The Lusiads» managed to create a unique composition combining the truth of historical facts with the skill of the great poet. The poem consists of 10 songs, in which the "Portuguese Homer" glorified heroic deeds of the Portuguese nation in the 16th century such as discoveries of new lands and sea trade routes. Each «song» of the poem tells of an episode of Vasco da Gama's long voyage to India. There is no doubt that the historical route of Vasco de Gama combined with the travels of the author himself, and the history of the great navigator was interspersed with the lines of his own diary. Images of ancient mythology, on the one hand, and the luxuriant nature of places discovered by the Portuguese, on the other hand, gave the author an opportunity to create an unparalleled work using a wealth of poetic imagination. «The Lusiads» is modeled after the great epics of antiquity, most notably Homer's «Odyssey» and Virgil's «The Aeneid». Following the creative method of Virgil, Camoens tried to stylistically combine an epic with a song. Medieval Christian literature, chivalry and chronicles also had strong influence on the poem. The deep originality of the poem is due to the fact that its plot was not borrowed from myth or historical tradition, but was drawn from the era contemporary to the poet. Heroes of the poem — ancestors of the poet founded the Portuguese State through hard work and fierce battles, having won over their land from Arabs and Castilians. They created a specific Christian civilization, the Portuguese ships were first to sail bravely in the vast expanse of the oceans of the world. «The Lusiads» considered to be the most national poem. In the words of the Portuguese poet Theophilo Braga, 'The Portuguese soul most completely reveals itself in the poem of Camões «The Lusiads». «The Lusiads» greatly contributed to an awakening of a sense of national identity of the Portuguese. It is no mere chance that the Day of Portugal coincides with the sad date when the greatest national poet left this world. For Portugal and the Portuguese-speaking peoples, Camões has the same importance as Shakespeare has for the English. One of the best monumental epics of European literature «The Lusiads» has run into more than 100 editions. It has been translated more than 50 times into over a dozen European languages. In 1580, the triumphant march through Europe began with the poem's translation into Spanish by Benito Calder and Tapia Gomez. Then, in the 17th — 18th centuries, it was many times translated into Latin, Italian, English, French, Dutch, Polish and other languages. 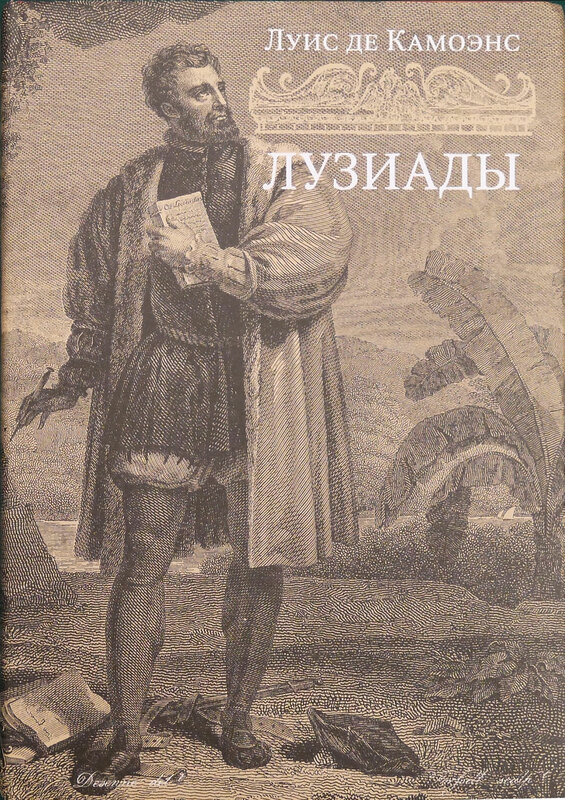 Thanks to French prose translations, «The Lusiads» became known to Russian writers. Among them was the 18th century celebrated poets Mikhail Lomonosov, Alexander Sumarokov and Vasily Trediakovsky.